You know more than anyone else in the world that Indian constitutional polity treats all citizens equally irrespective of their race, creed, religion, language, culture and gender. But the observation of the Bench (consisting Justices S.A. Bobde, D.Y. Chandrachud, Ashok Bhushan and S. Abdul Nazeer) headed by you in the Ram Janambhoomi-Babri Masjid title case that the issue is primarily not about the disputed 2.77 acres of Ram Janambhoomi-Babri Masjid site in Ayodhya, but about “religious sentiments” and the was looking at a “possibility of healing relationships”[i]. The religions of the parties were not named but it was clear that Supreme Court Bench meant to heal relationship between Hindus and Muslims. Such a stand presents serious dangers to the principles of Rule of Law or Due Process of Law on which Indian Constitution is based. Sir, mediation recourse on the plea that “religious sentiments” are involved would lead India to a theocracy. Fortunately, in the past Supreme Court never raised this issue while delivering historic judgments in favour of women and punishing perpetrators of carnages in 1984 and 2002. When the victims approach your esteemed highest court of justice in India, they do not approach you as persons of majority or minority but as Indian citizens who have been wronged. Regarding the present case, I would draw your kind attention to the following facts. The title dispute has been brought before esteemed Supreme Court as Babri Mosque was demolished on December 6, 1992 by an illegal assembly of Hindutva zealots gathered in Ayodhya by the RSS and its fraternal organizations after a long polarizing bloody campaign of hatred against Muslims. It was not and is not an issue between Hindus and Muslims. It is between Hindutva organizations and democratic-secular Indian polity. The mosque was demolished despite orders of the Supreme Court, assurances by the RSS/BJP leaders to Indian Parliament and the then PM Narsimha Rao. Rao gave solemn promised both to the Parliament and Indian nation (from the ramparts of Red Fort on August 15, 1993) that wrong would be undone and the demolished Mosque would be built at its original site. Sir, I want to draw your attention to the fact that treating this case as a fight between Hindus and Muslims, the highest court of justice of India is insulting vast majority of Indian Hindus who did not subscribe to the Hindutva brand of politics and did not join the demolition campaign. The RSS/BJP after demolition of the mosque at Ayodhya believed that their electoral future was secure. However, the enlightened and secular Hindu voters rebuffed the Hindutva politics of hate by defeating BJP not only in Madhya Pradesh, Rajasthan even in UP assembly elections but also in 2004 national elections. Sir, under your headship the Supreme Court (SC) appointed three mediators to arrange a compromise between Hindus and Muslims. The penal is headed by Justice (retired) Fakkir Mohammad Ebrahim Kalifulla (one of his landmark judgments related to the ordering of introduction of Vedic astrology as a course of scientific study in Indian universities as a Justice of the Supreme Court) and includesSri Sri Ravi Shankar (a spiritual guru popular with the Arab rulers) and a legal mediation expert, lawyer Sriram Panchu (president of Indian Association of Mediators and director of International Mediation Institute). There has been no explanation from the Supreme Court Bench regarding the criteria relying on which this selection has been made. It seems that these mediators are not representing religious communities but are neutral persons who are expected to come out with an objective and honest resolution. Respected Sir, let me draw your kind attention to the highly questionable past and present of this spiritual guru, SRI SRI RAVISHANKAR (not content having ONE SRI in his name) which makes his selection as mediator in the Babri mosque/Ram temple conflict a shocking choice. [ii]Luce, Edward, In Spite of the Gods: The Strange Rise of Modern India, Doubleday, New York, 2007, pp. 177-178. If the Supreme Court is serious about `healing relationships,’ it should begin by punishing the culprits who led the mob that demolished Babri Masjid against the orders of the Supreme Court itself in 1992. Only after the culprits (including the Sangh Parivar luminaries like L.K. Advani, Uma Bharti among others) are brought to justice, there can be talks of mediation. 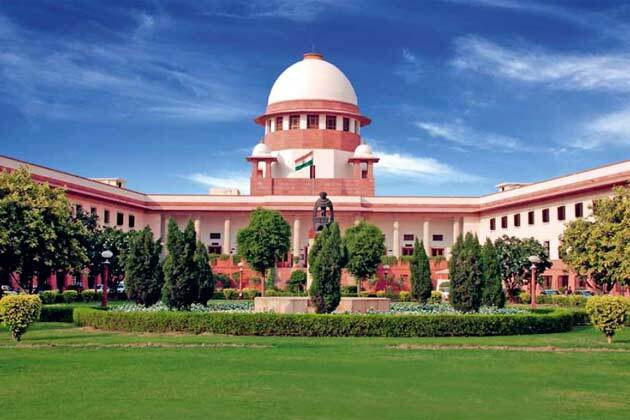 Every Indian citizen – irrespective of religious beliefs or practices – should request the honourable judges of the apex court to pass sentences on those who violated `law and order’ (the oft-quoted favourite terms used by the court) on that fateful day in December, 1992. The Supreme Court’s well-meaning efforts to put an end to the dispute, can gain credibility only if it punishes those who caused the dispute.